This case is designed with the traveling tech in mind, the user configurable dividers can be positioned to hold common items like tape, headphones, tools and adapters. 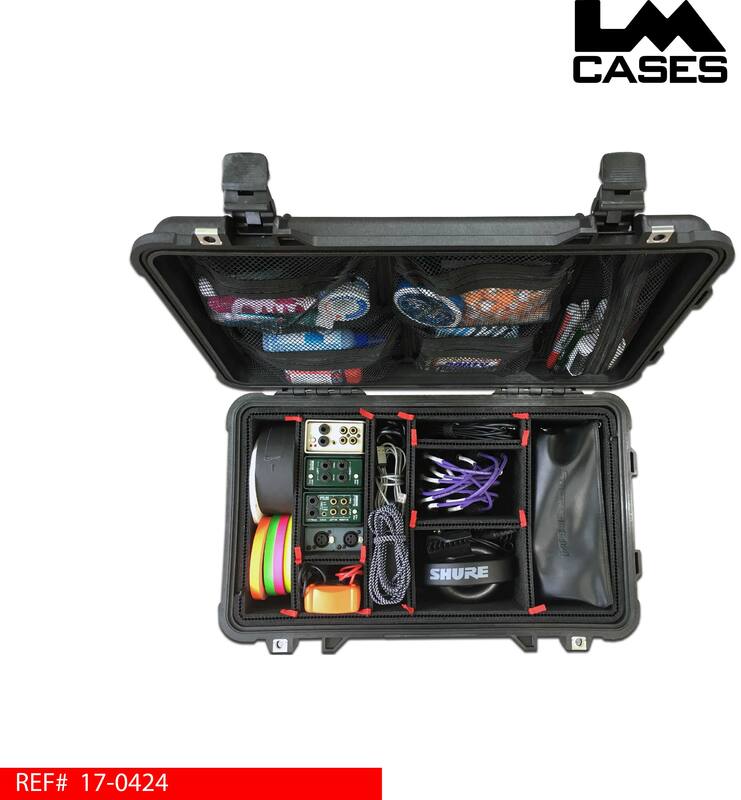 The mesh lid organizer is perfect for small items like pill bottles, batteries, pens and snack bars. 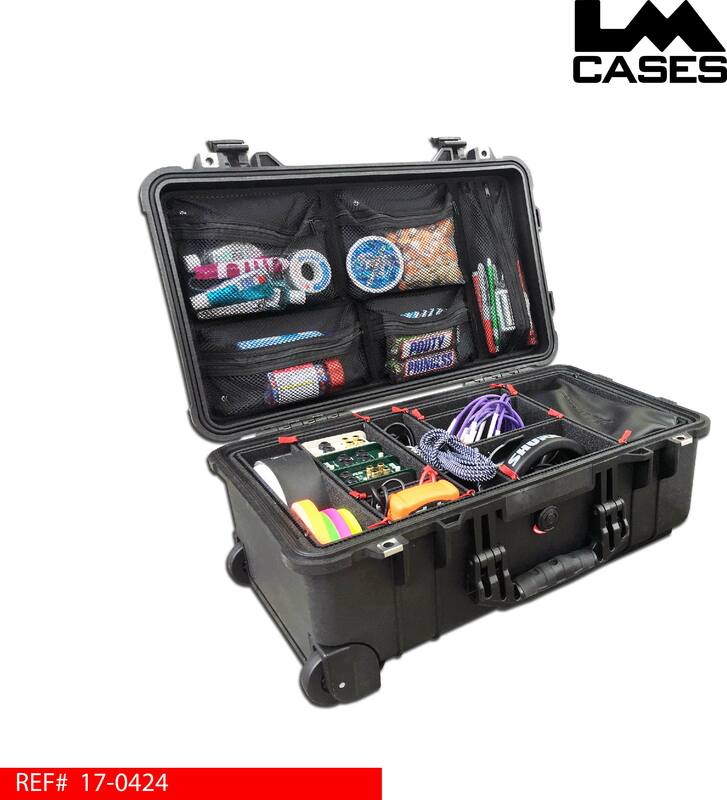 The case is large enough to hold every tech’s basic tools and is small enough to fit in the over head storage bins in most commercial airliners. 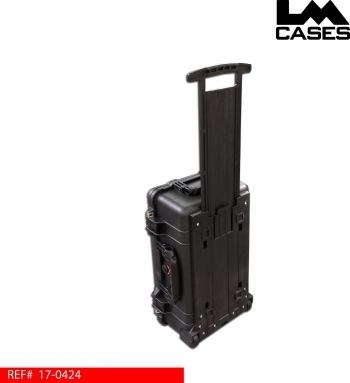 The case is waterproof and features a retractable handle and luggage style wheels.